Mr. Russo is a frequent speaker on computer law issues and has given presentations to the American Bar Association, the Practicing Law Institute, the Computer Law Association, and the San Francisco Bay Area Intellectual Property American Inn of Court. Mr. Russo serves as an arbitrator, mediator, and early neutral evaluator for the U.S. District Court (N.D. California), the Santa Clara County Superior Court, and the American Arbitration Association, as well as a Judge Pro Tempore of the Santa Clara County Superior Court. Mr. Russo specializes in Internet, computer law, and intellectual property litigation. 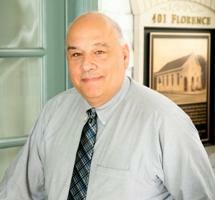 In addition, Mr. Russo is in charge of the Firm's entrepreneurship practice. Trade Secret Litigation: Are You Asking the Right Questions? Patent Litigation: Are You Asking the Right Questions? The Law of the Internet in California "An Internet Primer"
"Trade Secrets on the Internet and in Cyberspace"
"Ethical Considerations On the Internet"
"Recent Developments in E-Commerce Law"